Life gets busy. The to-do list gets longer by the minute. Often, getting to the local farm stand or farmers' market isn't an easy task. Will you get out of work in time to hit the weekday farmers market? How about Saturday? That's right, you're the official family taxi service. Ok, so now what? Will you have to pass up local, fresh produce? Nope. Fresh Nation is here to help. They'll bring the farm fresh goodness to your door. Based in Stamford, CT, Fresh Nation maintains the largest online platform for farmers markets, and the vendors and artisans who sell through farmers markets. They offer a “Farm-to-Home” program in lower Fairfield County CT, Westchester County NY and just recently added parts of Los Angeles, CA where they deliver fresh, local food from farmers markets direct to customers’ homes. The program creates online stores carrying the food and produce found daily at several area farmers markets (including the Westport Farmers Market) and essentially reproduce these markets online. They have Personal Food Shoppers (all of whom have an extensive knowledge and interest in food) to fill customers’ orders and deliver them the same day to their homes. Pretty cool, right? Well, now get really pumped because we've teamed up with Fresh Nation to offer an exclusive Local Food Rocks discount! Yeah baby! By clicking on the Local Food Rocks Fresh Nation icon in this post or in the side bar, you'll not only receive 10% off your order, you'll also get FREE delivery. And the best part is that this deal is always available as long as you keep ordering by clicking through the Local Food Rocks Fresh Nation icon. It's a deal that never ends. Fresh Nation is helping make it easier for all of us to get the local food we love without the hassle. 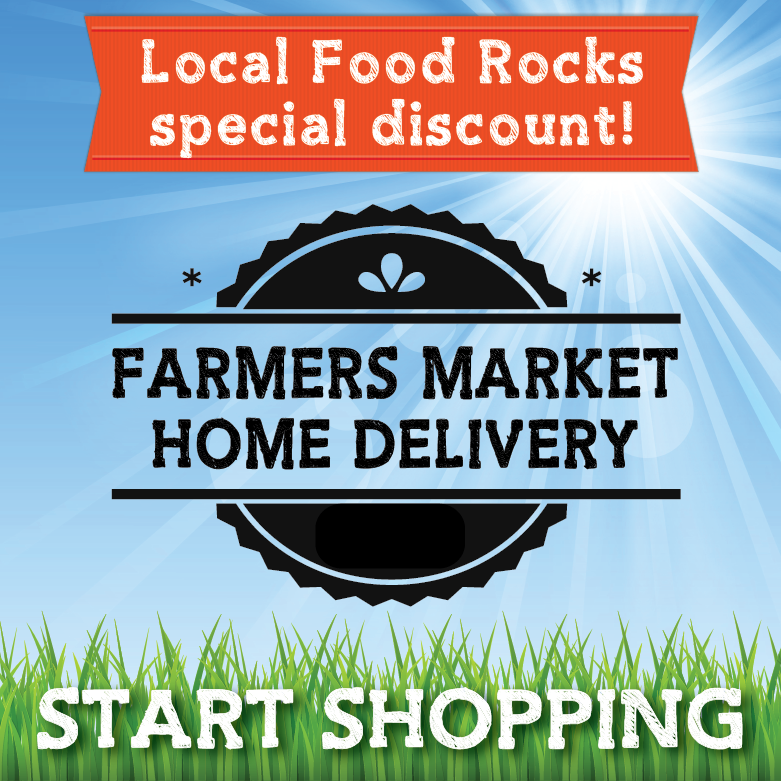 If you live in one of their delivery areas I hope you'll take advantage of the Local Food Rocks discount ... again and again...and again... you get the idea.